Before the era of the fast and cheap Internet, it was not really possible to train people in videoconferencing and therefore to learn online. Consumer software for videoconferencing training appeared in the early 2000s in the USA and in Europe. However, training trainees (or learners) by videoconference requires different skills and pedagogy from conventional classroom training. You must constantly adopt an interactive pedagogy, ask the trainee, not speak for too long, constantly ensure a good communication with the learner and maintain the learner’s attention by keeping in constant contact with him during the session. It is also essential to have a reliable, uninterrupted connection. 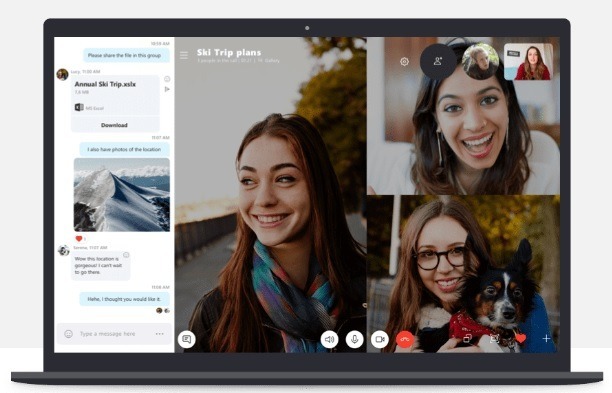 It is for this reason that it is unthinkable to provide training in videoconferencing beyond 8 connected people. 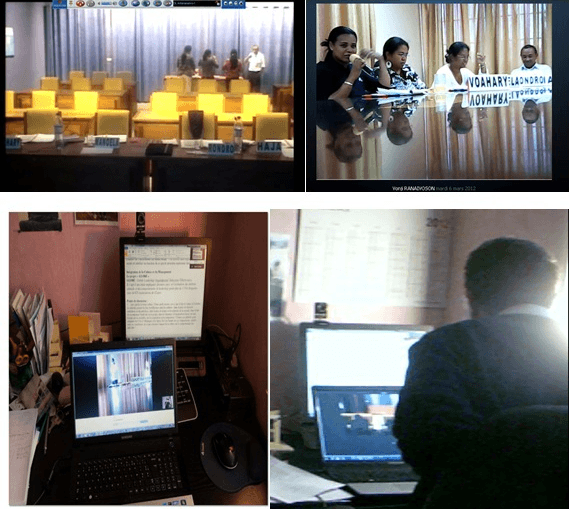 I have already taught 6 people simultaneously in videoconference who were present in the same training room in Madagascar, connected with me who was providing the training from France. People had already received a PowerPoint and PDF files. The remote learning room in Antananarivo where the 6 trainees were located was equipped with two screens. On one the PowerPoint was displayed and on the other the trainer. Each trainee who wished to intervene raised his his hand to ask for the floor. I encouraged interaction to make training sessions more alive and to maintain the « connection » with the trainees. The fact that the 6 trainees were together in the same training room allowed a certain dynamic, an interaction between the trainees. When I asked them to think about an issue or to work on a particular point. The dynamics are different when the 6 people are present in different geographical places. In this case the interactions are different, even if everyone participates in real time, sees and hears what others are doing and saying. It is essential in this case to display all written comments in the form of a continuous chat. It is also possible, with the prior agreement of all the trainees, to record the session so that everyone can review the session and work on specific points. 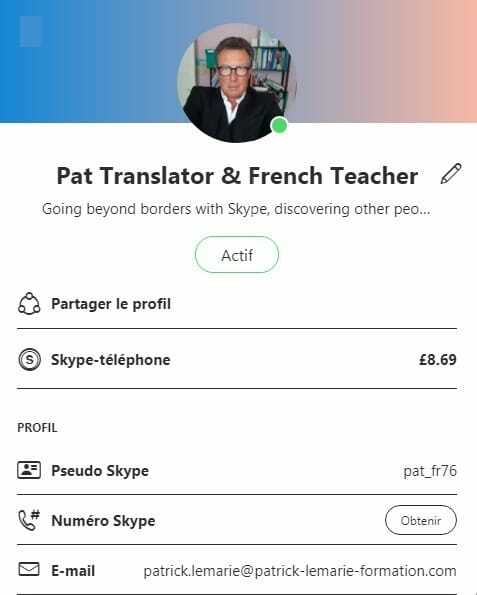 It is also possible to submit group work involving trainees from different geographical locations, in order to strengthen the link between trainees and not to remain in the « virtual », as it is sometimes experienced when people learn online in e-learing. In this case aside discussions are not possible. The trainer must therefore also take into account this specific configuration of videoconferencing communication. A videoconferencing training session is different from a MOOC in that the MOOC looks more like a conference without really interacting with the audience attending the MOOC over the internet. Video conferencing training requires more interaction with trainees. It’s kind of tailor-made. What about you? What is your experience in online training? Are you a trainer or learner? 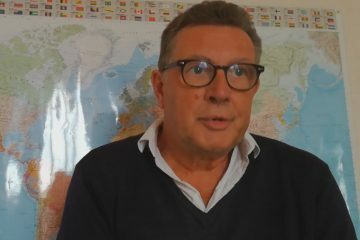 For people who wish to obtain additional information on my online training courses in videoconferencing, I invite you to get in touch with me. – You send me your Skype address by email so I can register it, and can reach you on the day of the first appointment and offer you a free 30 minute discovery session. – We agree together the day and time of the appointment. – This formula allows you to schedule training sessions to learn online at home or from your office, without having to travel and at your own pace. Wherever you live. – The advantage of Skype* chatting directly with me via your computer’s webcam and microphone, face to face. Contact me to discuss your individual training project. Whatsap – Viber – IMO 06.83.39.21.73 . Peut-être parlez-vous déjà une langue étrangère en plus de votre langue maternelle et vous êtes relativement impressionné en vous demandant comment font les gens pour apprendre deux, trois, quatre ou davantage de langues. 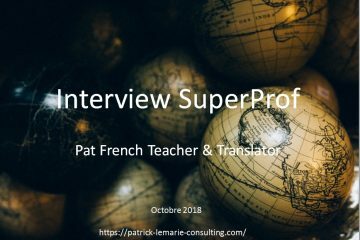 Undoubtedly you would like to improve your French, or just start learning French as this beautiful language is one of the most spoken languages in the world. 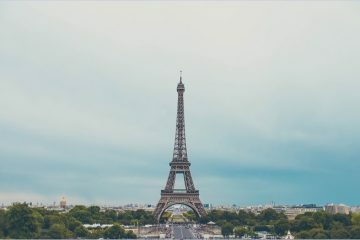 If you want to do business with the French, or with the people of the French speaking countries, why not giving you a chance to learn French with a French native? As a translator I need a few tools to help me perform my work. I started translating in 1982. At the time I mainly used specialised dictionaries and my own documentation, I collected here and there (various catalogues of spare parts and equipment for instance). I sometimes had to go to Pompidou Centre Library in Paris when I had something more demanding. Que peut faire pour vous la traduction automatique DEEPL ?